This week, Tuckfields TV presenter, Jonathan sat down with one of our registered conveyancers, Miriam Errington, to discuss our Yorke Peninsula office, and Tuckfields point of difference. Miriam Errington grew up in Warooka and began working at Tuckfields in 2015. While Miriam is based in the Adelaide head office, she regularly travels to the Yorke Pensinula to see her family and her clients. With both Tammy and Miriam being Australian Institute of Conveyancers Committee Members, they remain at the forefront of industry changes. They continue to lead their clients and colleagues through the changes associated with the move into an electronic property exchange environment this year. While Tammy and Miriam will be bringing their knowledge and efficiency from the “big smoke” to the area, they also bring something that they are both so proud to have grown up with …. “good old fashioned country service”. 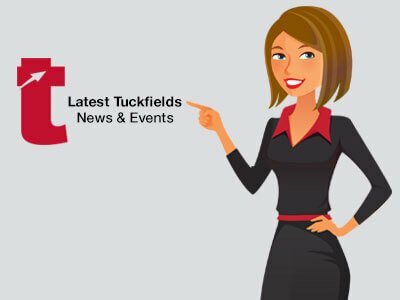 If you’re based in the Yorke Peninsula and need assistance, please don’t hesitate to contact Tuckfields for your next transaction!